I’ve come to the conclusion that the rooms that I create inspiration boards for are actually going to be the rooms that get done last. 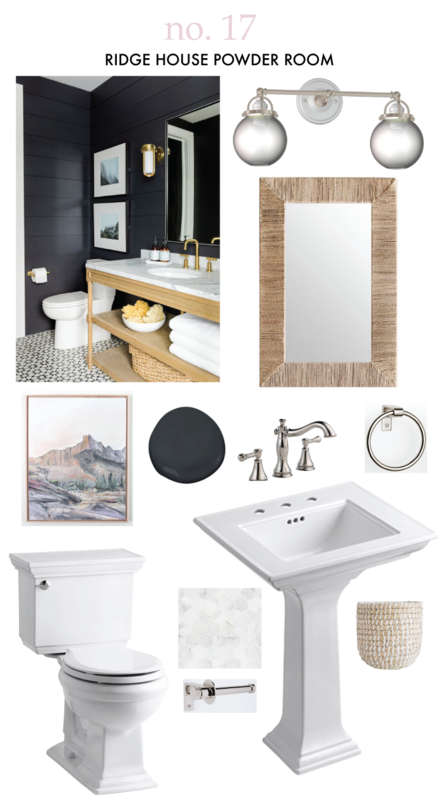 Nevertheless, here’s my vision for our downstairs powder room, which – fingers crossed! – we can have done by the end of summer. This bathroom gets a ton of use, as we spend most of our time downstairs. It is also probably one of the ugliest rooms in the house – I’m talking a vanity that looks like it was decoupaged with dried blood, wall lighting circa the mid-1980s, and tiny rhinestones on the walls. It is literally bedazzled. Since the room has no natural light to begin with – and because I want to have one darkly painted room in the house – I decided to capitalize on that and go moody and dark with black shiplap (Benjamin Moore Soot). My husband thinks shiplap will be easier to install than tile (the other look I was leaning towards), knock on wood. I’m still debating horizontal or vertical installation. With statement walls, we can keep it simple with a pedestal sink rather than a full-fledged vanity, which helps keep the cost down. There seem to be an infinite number of hardware options (just see my Pinterest board) – do I pair polished nickel finishes with a brass pivot mirror? Or chrome finished hardware with a round oak mirror? I ultimately decided on a rattan mirror with polished nickel and a touch of white porcelain because the scale of the mirror I found was just right. I love the idea of showcasing art in various places throughout our home in untraditional places, like the bathroom or the laundry room. I’m eyeing a piece like this one from Laurie Anne Art for above the toilet, but I’m not opposed to a Rose Bowl flea market vintage find either. I’m rough estimating our budget to be around $3,000, but I think we’ll get it done under that amount. I stalk sales, free shipping promos and cash back deals like my second job. Also, we’ll do the labor ourselves – you can bet that I signed Dave up for the upcoming How to Install a Toilet workshop at our local Home Depot. Side note: I'm completing re-doing my laundry room design because turns out, it's been done! (Unbeknownst to me at the time I published). Sorry, Hartley Home, I promise I wasn't trying to pose! I have another idea in mind, and the wallpaper was going to be a hassle to put up anyway (and probably a little bit too girly). 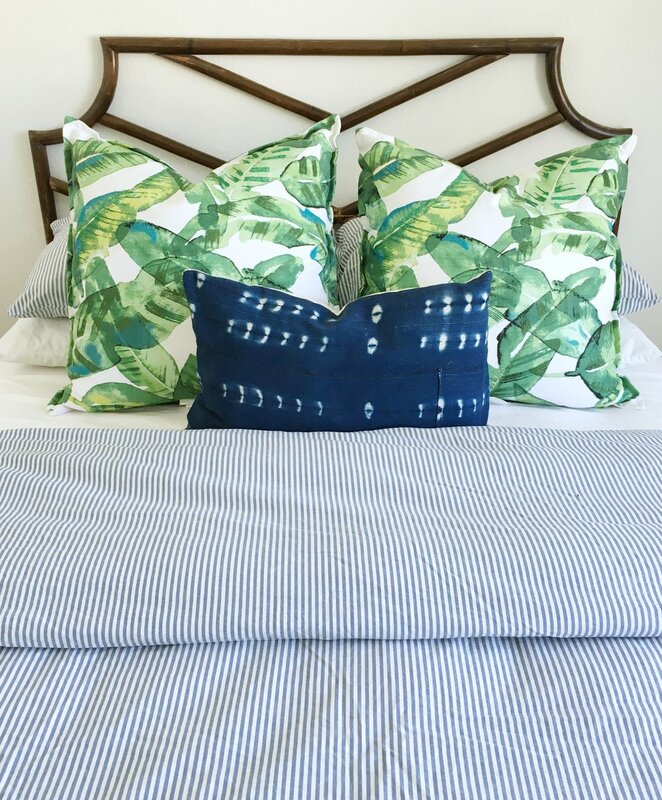 Choosing Paint Colors (And a Peek Inside Our House). Ah, paint. Nothing has given me more decision paralysis than choosing paint colors. I thought this would be the easy part, but I quickly fell into the rabbit hole of paint swatches from Sherwin Williams, Benjamin Moore, Valspar, and Behr. There are thousands of different shades of paint. Add to it that I'm idiosyncratically particular about what the shade is called as well. I still swoon over Ralph Lauren's Tibetan Jasmine – I'm convinced that this is the perfect shade of white for our forever home and also heartbroken that they no longer have their full collection of paint. I honestly thought this cosmetic update would cost us maybe a couple hundred bucks for the entire house. Lots of research and a few hardware store visits later, this article convinced me to go with Benjamin Moore Regal Select paint, and I realized that the actual cost would run well over $600. (I think we're currently running closer to the $800-900 range). 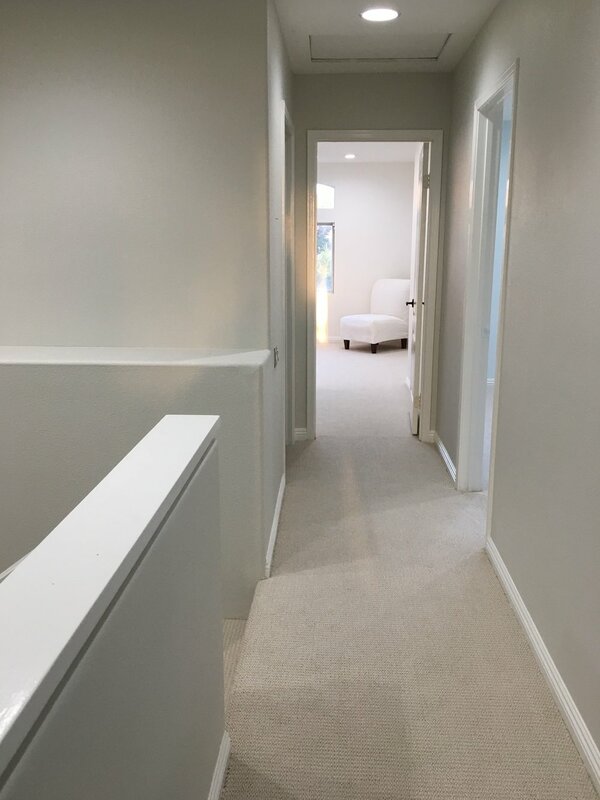 We got a quote from a painter that was $1800 to paint the entire house (in hindsight, I'm pretty such this would have been worth every penny), but since this was one of the projects we could actually DIY, we opted to go that route. I wanted a light neutral for most of the house but one that still provided a bit of contrast to the trim. Since there's not always the best light in most of the house, I didn't want to go with a white for fear that our space would look too flat. This was the trickiest because even in the same open space, the paint can look so different depending upon how the light hits it. After painting many, many walls with sample colors, we ultimately decided on Classic Gray for the majority of the house. I love the way it photographs and how it's a barely there neutral. We tried a few different whites for the trim out of like a billion shades of white. White Dove didn't give us the pop and contrast that we wanted and White Opulence was a bit pink. I've read that Chantilly Lace is the closest shade to a true white, but I wanted something just a touch warmer, so we went with 2016 Color of the Year, Simply White, which has become my new go-to white. All the trim and doors are getting repainted in Simply White, along with our fireplace mantel and our custom breakfast nook bench. BM Balboa Mist, BM Classic Gray; BM Dove Wing, BM Gray Owl; BM November Rain; BM White Dove and BM White Opulence. We decided to go with Nelson Blue for our master bedroom. We bought a white linen-look bed, so I wanted a bit of contrast. I want the room to feel like a calm oasis and fell in love with Farrow and Ball's Parma Gray. Nelson Blue is the Benjamin Moore equivalent (I think), and is the perfect soft shade of blue-gray. David painting the master with BM Nelson Blue. For the front bedroom, we ultimately went with Simply White as the wall color. That room gets the most light, so it will look great bouncing off of the white. Our dark wood campaign dresser is going in that bedroom, and I think the contrast will be fantastic. BM Balboa Mist, BM Classic Gray; BM Dove Wing, BM Gray Owl; BM November Rain; BM White Dove and BM White Opulence, in a different room/light. I had initially really wanted to go with a peachy pink for the guest room because I've always wanted to paint a room pink, but we just didn't find any shades that we loved or agreed on. We ended up painting this room November Rain (highly recommended by Emily Henderson), and I think it is my new favorite paint color (although Dave's least favorite). It has a touch of green and feels like a really warm gray to me and looks almost like soft cashmere for your walls. For the boys' room which is getting a California theme, we went with Sea Foam, pretty much because I liked the name. It reads as more of a light blue than the light blue-green I had intended for the space (this is the only shade we didn't test out), but I still think it's the perfect fun background color to layer on white and light-colored woods. We're almost through painting the upstairs (finally). We get the new carpet installed on Tuesday, and I'll be able to share some significant progress pics.